Malachite was a power stone used in ancient times to adorn royal headdresses and decorate the the walls of castles. 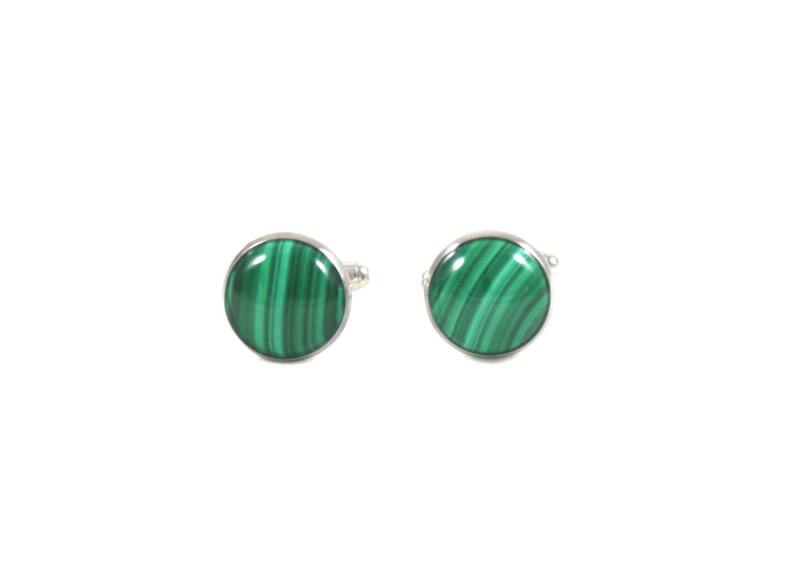 Malachite gives one the strength to take a stand and the confidence to be seen and noticed. 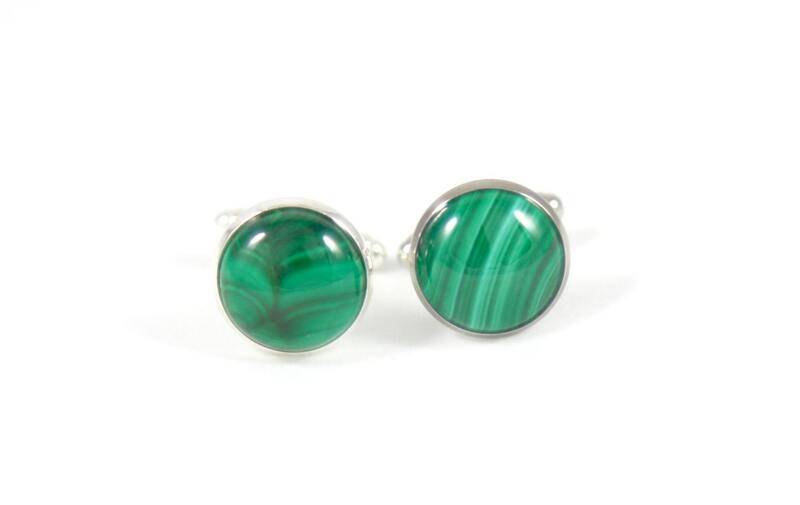 A lush green vivid color, malachite is a stone of abundance, personal growth and nature. With a soothing, flowing pattern of lines and circles, malachite is an energetic, optimistic stone that guards against negativity. Malachite is the crystal companion of the distinctive man who is ready to work through blockages and forge his way to success. ✦ guard against negative energy, toxins that pollute the body and unhealthy, overstimulating environments. 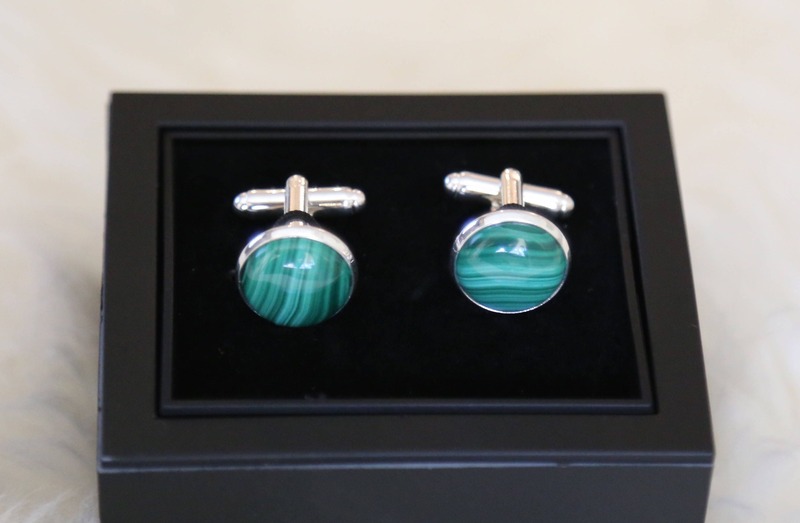 Malachite Cufflinks come ready for gift giving in a unique cufflink box. Use the drop down menu to choose your setting: sterling silver (925), gold plated sterling silver, rhodium plated sterling silver, rose gold plated sterling silver, silver plated, gold plated or stainless steel. The stones are 5/8" diameter.